FURNISHED, UPGRADED FIRST FLOOR 2/2 WITH CARPORT! 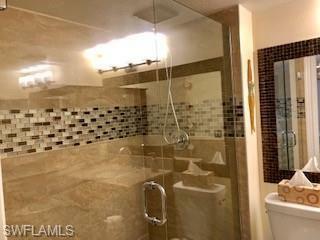 Tile throughout, new master bath, granite in kitchen, plantation shutters, upgraded guest bathroom. Fantastic floor plan. San Mirage is one of Bonita Springs best kept secret condo communities with fees of $995 per quarter which includes water and basic cable. Financially sound community with reserves! Resort style salt water pool, spa, fitness room, tennis courts, community grills and a vehicle wash area. 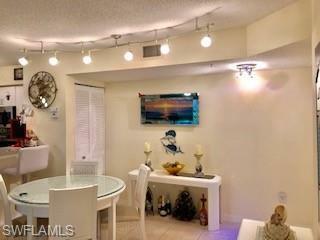 Close to pool and around the corner from one of the community grills this location can not be beat! 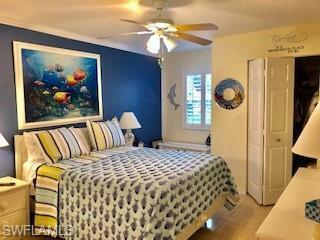 Across the street from Bonita Springs Cinema, restaurants and shopping. Situated between Fort Myers and Naples, San Mirage is 5.5 miles to Barefoot Beach, across the street from shopping, dining and 14 miles to Southwest Florida International Airport. Schedule your showing today!